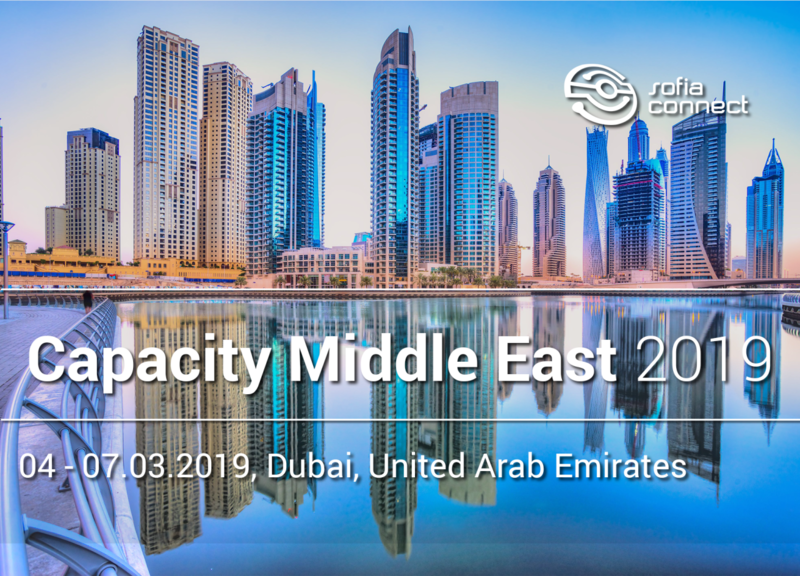 Capacity Middle East 2019 is the largest carrier to carrier event in the Middle East. The event gather together more than 1,700 attendees from companies, representing voice, data, SMS, data centres, peering, over-the-top service providers (OTTs) & content providers, internet service providers and network infrastructure providers. Capacity Middle East 2019 will take place from 4 to 7 March in Dubai, United Arab Emirates, and Sofia Connect's CEO, Mr. Yuliy Nushev will be there pursuing to develop new partnerships and extend existing ones. If you would like to schedule a meeting with Mr. Yuliy Nushev, please send an e-mail by clicking here. We are looking forward seeing you at the Capacity Middle East 2019!